The deets: Essie "No Boundaries" and Milani Jewel FX in "GEMS"
The most recent trend to hit the nail scene (I know, there's such a thing as a "nail scene?" what?) is having one metallic/sparkly/bedazzled nail and I have fallen DEEPLY in love with it. My most recent combo and probably my favorite thus far is this one. The little pink flecks on my ring finger that perfectly match the other matte nails really just makes my day. I couldn't stop staring at my ring finger..this must be exactly what its like to get engaged (okay maybe not...). ummm, so i actually bought a nail glitter (yes, it exisits), and i am wearing it right now. god, we so fashionable!!! I love this trend because it make glitter a little more work appropriate. Love this look! I had it done at the salon a while ago and it took me a good 5 minutes to explain to the lady that I only wanted one nail done with glitter. She clearly was not on board with the trend, ha! I love the combo! so cute. 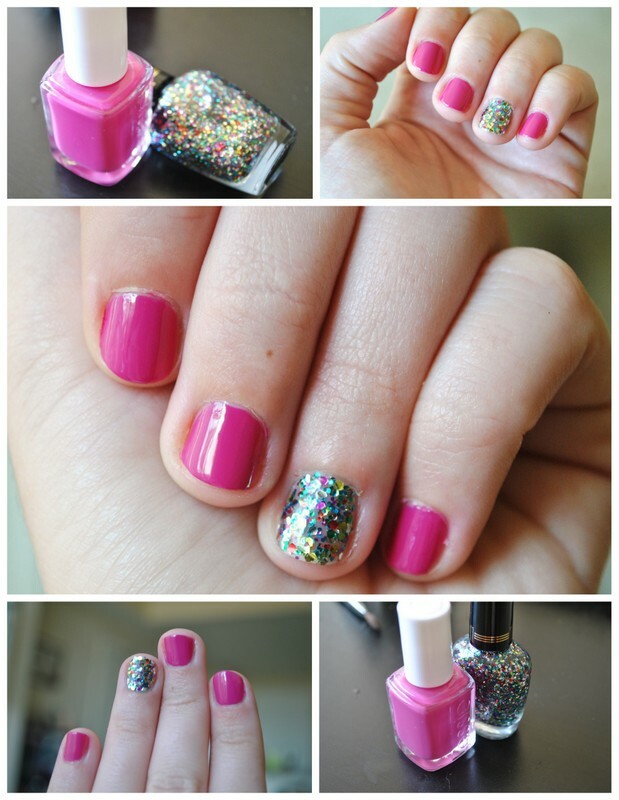 I love that essie pink color and the glitter is just fabulous. 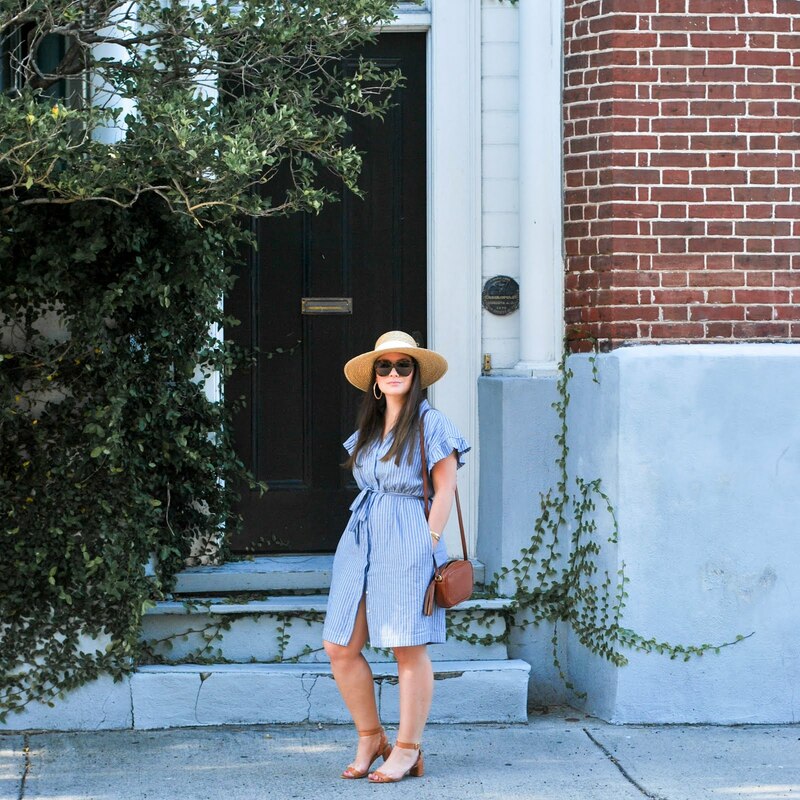 LOVE this trend! I love painting one nail a different fun color. Love the glitter effect. so so so so so much fun! I rock this look all the time - love it!! I wish I could paint my own nails as neatly as yours! My right hand always looks like I got in a fight w/the nail polish & the polish won! This is adorable. I love it too! You are perfect at painting nails! I love that combo. Like someone else said, glitter is SUCH a pain to get off, so that's why I love this trend. It's a little compromise! such cute nails. i love the glitter. I just discovered your blog, and I must say that I really love your style! Can't wait to see what you wear next! Oh, and I LOVE this polish idea! I'm going to have to try it. Im loving this nail trend! Hahaha - it's pretty similar to being engaged. Basically, it's like your engaged...at least the staring part :) Love the look Erin, you're killin' the nail scene! Love the nail polish and the confetti! Should wie follow each other? Love it!!!! I have these two colors so I'll have to give it a try :) I'm obsessed with painting my ring finger different too. yep, officially love this look. oh so fabulous!! thats soo cute i love the glittery accent nail great job!! i would love if you checked out and maybe followed my blog!! i just followed you i would love if you followed back!! I´m you newest follower! I love your blog! How cute are your nails! The sparkle is too fun! Love it! I myself have become a huge nail-scene groupie. How embarrassing is it that until last year I had never even painted my own nails?